I have always treated Asia as a project for those prog masters that wanted to do something else. It's because it was originally consisted of Carl Palmer (ELP), Steve Howe (Yes), John Wetton (K Crimson) and Geoff Downes (Yes). I could accept their debut album and assumed it as a hard rock music with some progressive touch (not that much, actually). The band then evolved with many changes in personnel with one member being constant: Geoff Downes. In its original form, it's actually similar with the GTR as a joint-effort between two guitar masters: Steve Hackett and Steve Howe. The only difference was that GTR disbanded after the two guitarists did not think would continue with the GTR project. With Asia, Geoff has carried the torch and brought the band into many albums with something I called it as pop rock music. Nothing wrong with this, it's natural as an evolution of a band. 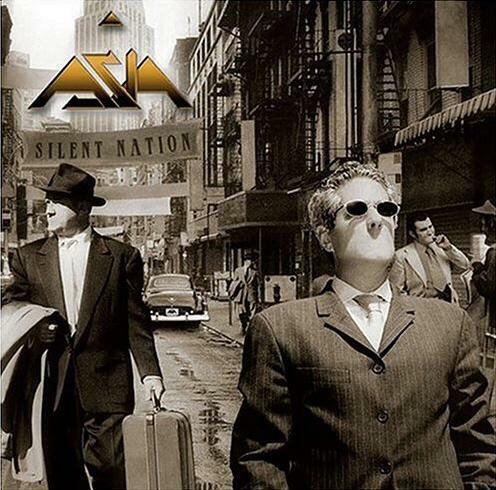 Having been so long not in touch with Asia since their Astra album, I was triggered to enjoy their latest release "Silent nation" as some friends and some reviews mentioned that this album was good. What I found was a great regret. It's not because this album not prog at all as I had been aware that Asia was basically a pop rock band. Even by using a pop rock spectacles I don's see this is a good one to have. 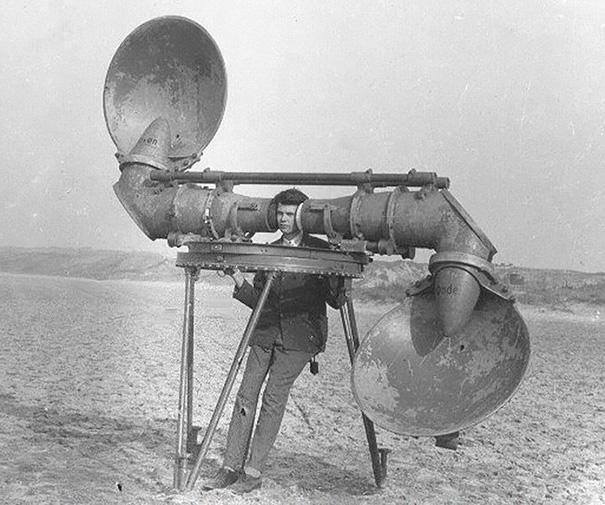 Almost all tracks are straight forward and boring. The composition is too loose, I would say. But, I can understand that those die- hard fans of Asia would love this album as they have enjoyed the music since the old days. That's why I would give this album only for collectors who truly love Asia. But for those who are new with the band, I think this album is not the best one to start with. Their debut album is much better than this one. If you want to evaluate using "prog" spectacles, this is NOT under that category. Keep on proggin' .!!! Yours progressively, GW. I saw Asia live on the tour in support of this album in Copenhagen. It was a kind of mini-festival featuring Asia, Uriah Heep and Dio. I was primarily there to see Uriah Heep, while in the end I was very disappointed with Uriah Heep's performance (something wrong with the sound, I think), but I was impressed by Asia's and Dio's performances! 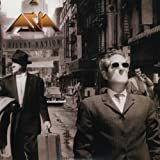 I don't remember exactly what songs Asia played, but I know that they played What About Love from this album as well as some classic songs from the debut including Heat Of The Moment (it was quite fun to see the metal fans sing along with this!). Overall, I think that Asia rocked much harder in this live performance than I had expected. Maybe they toughened themselves up because of the audience that night? Anyway, I liked it! So, what about Silent Nation? Personally, I like this a lot better than the previous Aura album. Apparently, many people on this site like Aura, but I just can't get into that album. To me Aura is nothing more than a straightforward Pop album. Silent Nation is a much harder edged affair returning to the power of Aria, released ten years earlier. However, it does not sound as 80's as that album, which is a good thing of course! The return to the sound of Aria is for me a good thing since I much prefer Aria over both Aura and Arena (though, my # favourite is Aqua). What Silent Nation has in common with Aria is that these albums have more of a band feel, while others are just studio projects led by Geoff Downes and John Payne and filled up with session musicians and various guests. The material of Silent Nation is strong and very melodic (admittedly, sometimes a bit too much so! ); the electric guitar sound is great and the guitarist is very good; the keyboards are less modern, less electronic (with the exception of Darkness Day) and much more organic than on Aura. This is probably due to Geoff using a sound that is close to the old Hammond organ on several songs (though I suspect it is not a real Hammond he is playing here, but it sounds rather genuine) and also some grand piano. In addition, there are some strings and some acoustic guitar parts on some songs that further contribute to making this album more organic and genuine than other Asia albums that often had a somewhat artificial sound. The vocals are great here, Payne has a distinctive voice. The drums sound very good too, but they are not very elaborated and are never allowed to stretch out. This is one of the main problems with Silent Nation. The production is, on the other hand, absolutely top notch but not glossy like on Aura. I would also say that Silent Nation might be the most progressive Asia album overall. There is no individual track that stands out as being more progressive, or better, than the others, like the excellent The Day Before The War from Arena, but the progressive influences are more evenly spread over the whole album this time. And finally, I must mention the lyrics. The lyrics have been a constant problem for Asia throughout their whole career. Indeed, I would say that several Asia songs compete for worst Prog (related) lyrics of all time. On Silent Nation however, the lyrics are not horrible apart from on I Will Be There For You; 'anything you want, anything you need, I will be there for you'. Come on! This song is clearly the worst here, with basically the same lyrics as Anytime from Aria! Why repeat something that was so bad in the first place?! What About Love is also quite plain lyrically and has an overly catchy chorus, but the rest of Silent Nation is very acceptable from both the lyrical and the musical perspective. Conclusion: Silent Nation is a stronger and more dynamic album than we had heard from Asia since Aqua. Recommended, but not quite excellent because of some minor flaws. First of all I want to state that the only reason why I don´t give this album a 5 star rating is the fact that there is little prog on it. If PA was a hard rock or AOR site this would be halied as a classic, no doubt. Not that I approached this CD with reverence. Not at all. in fact I had much prejudice for it. To me, Asia was Steve Howe, John Wetton, Carl Palmer and Geoff Downes. The simple thought of an album carrying Asia´s name with only Downes as a original member sounded too much a sell out for my taste. That´s why it took it so long for me to even listen to it. Now I have to eat humble pie, as they say. I was impressed from the moment I first heard the CD. And the more I listened the more I got the feeling that it was not only excellent, but also it could be par to any of the band´s best, except maybe the first (well, that one has a little more prog in it, hasn´t it?). I also found Bill Payne´s voice very similar to Wetton´s. The guy is a fine singer. But nothing would work so well if it was not for the fine songs included on this album. This is probably Asia´s best compositions since their debut: inspired, strong, darker than usual, very convincing. Also there is a kind of ´back to the basics` feeling on it: that might explains why Downes plays a lot more Hammond organ here than he was doing up to then. The guitar parts are also very well done and very 70´s sounding. Production is also top notch. The arrangements are very well done, of course. There is not a single filler in the whole album, and the traklist is very balanced. There are even some novelties like the gregorian chants used on Darkness Day. It´s hard to point a highlight since there are too many good songs on it. Every time I hear it it I don´t skip one track. Silent Nation stands as darker and edgier album than one would expect from a band like Asia. But it is also very melodic and tasteful. If you like good pop rock with prog influences, or is just an AOR fan, you should not miss this one. I heard this CD is the best from the Bill Payne era and I believe it, even thouhg I haven´t heard the others. And it is one of Asia´s best, with or without the classic line up we all love. As I said before, I can not give it the 5 star rating I was thinking of here on PA. For this site a 3,5 star is quite fitting though. A (very) nice surprise. Post a review of ASIA "Silent Nation"